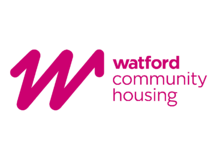 Watford Community Housing created a new people strategy to improve low employee satisfaction scores and increase understanding of the organisation’s total reward package. The strategy focussed on using recognition and learning and development to improve engagement – with the ultimate goal of increasing customer satisfaction. In 2017, Watford Community Housing’s HR Team, also known as the organisation's "fairies," sent a survey to all of the line managers to get feedback on what was being delivered to employees and how it could be improved – returning an overall satisfaction score of 3 out of 5. A deeper dive into the results showed that employees were not engaging with their reward package due to a lack of understanding, an issue which crossed over to Watford Community Housing’s training and development initiatives. The survey also showed employee relations with HR were an issue, largely due to the open plan office and lack of privacy for confidential conversations. Wearing their fairy wings to spread a bit of magic wherever they go and believing that an increase in employee engagement would lead to an increase in customer satisfaction, the team used their close partnership with Reward Gateway to speak with subject matter experts on where they could improve. This led to the team launching their first ever people strategy to improve employee engagement, increase the understanding of recognition and boost participation in training sessions. With a focus for the team’s people strategy set, they began introducing new elements to their recognition programme. This included a wheel of fortune which employees who hit performance targets could spin to win a prize, and the introduction of “Thank You Thursdays,” which encourages peer-to-peer recognition aligned to Watford Community Housing’s organisational behaviours. Providing greater transparency around the organisations reward package was the next step. The team achieved this by seamlessly integrating Total Reward Statements into the organisation’s employee engagement platform, giving the workforce a fuller understanding of exactly what working for Watford Community Housing brought on top of their pay. To improve learning and development at Watford Community Housing, the team launched the “People Learning Academy.” Importantly, the team involved line managers to develop the foundations of training which were core to the outcomes of the organisation. As 36% of Watford Community Housing’s employees work remotely, a new provider which allows training to be completed from a mobile device was sourced and brought all training information, whether mandatory or supplementary, under one roof. The team used their quarterly engagement survey to measure the impact of their new people strategy, with incredibly positive results. In December 2016, 34% of employees participated and gave a satisfaction score of +52. A year later and participation jumped to 60% with the satisfaction score climbing to +68. And in June 2018, Watford Community Housing’s satisfaction score had reached +73, an increase of 21 points in just 18 months! Introducing the People Learning Academy also had positive effects on the organisation and within six months, there was an increase in the amount of employees completing training sessions. On top of this, 60% of employees are now attending one-on-ones with their managers compared to 26% previously, and the growth in employees’ skills has brought more opportunities for internal promotions. And confirming the team’s belief that an increase in employee engagement would increase customer satisfaction, Watford Community Housing saw tenant satisfaction increase to 4.5% above the annual target for 2017/2018, first call resolutions increased by 5.5% compared to the previous year, and the ratio of compliments to complaints increased from 24:76 to 49:51. On top of this, the team’s efforts combined with Reward Gateway’s benefits have delivered a £9,500 return on investment per annum, and a team of four fairies!